I’m not usually clumsy – heck, I’m a competitive ballroom dancer – but during a trip to Walt Disney World, I found myself in need of first aid due to an act of gracelessness. While boarding a Test Track vehicle, my toes caught the edge of the vehicle on the way in and I fell into the passenger area with an unceremonious ‘thud.’ My shin hit the grab bar between two seats, causing me to see stars. Someone was trying to climb in beside me, so I righted myself and tried to act like nothing had happened. At first, I walked it off, but within 20 minutes I had a baseball-sized hematoma on my right shin. The rapid swelling caused intense throbbing and pain, so after consulting my park map, I headed to First Aid. When I arrived I was asked to sign in and after a short wait, someone came out to examine my injury. After explaining what had happened, I was given a slushy pack (ice pack with water) and a net tube to slide over my foot to hold the pack in place. I was told to replace the pack every few hours and offered several two-pill packs of an over-the-counter pain reliever/anti-inflammatory medicine. The slushy pack offered remarkable relief. It wasn’t so cold to completely numb my skin, but it was cool enough to combat the swelling. Every few hours, as instructed, I hobbled into a First Aid center for a replacement pack. This went on for the rest of my vacation, during which I learned the locations of each First Aid center in all four theme parks, plus what they can and cannot treat. Most commonly treated ailments are; sunburn, headaches and blisters. They cannot treat head injuries or wounds that require suturing, but they will make arrangements for complimentary transportation to the nearest medical facility. In-room medical services are also available 24 x 7 at all WDW resort hotels. Contact the Front Desk for assistance. In case of an emergency, dial 911 from any phone. Services provided to me at the First Aid centers were excellent. The slushy pack and netting solution worked well. I was able to continue touring with minimal interruption for stops at First Aid centers to obtain replacement slushy packs when mine melted. They even gave me extras at the end of the day to get me through the night. 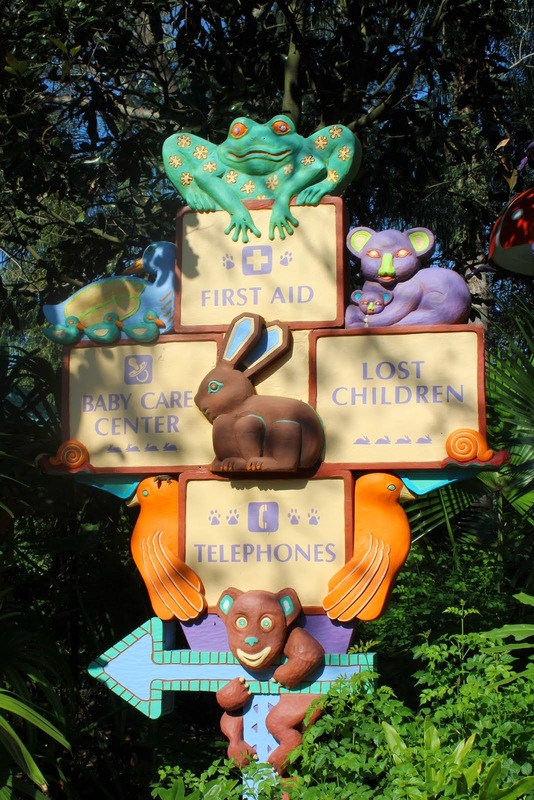 Nobody wants to go to First Aid while on vacation, but it is comforting to know that Walt Disney World offers basic care to their guests when needed. Be sure to watch your head and step when entering or exiting ride vehicles! Julie Saunders is a freelance writer living in North Carolina. She is the mother of two sons and writes about family travel in general and Walt Disney World in particular.